If you have seen Jenny Lemons name in the Bay Area, now is your chance to meet her and learn from the best. Revered in our office as one of the most "badass boss ladies" in the Bay Area, Jenny Lemons founder Jennie Lennick will be hosting an intimate weaving workshop and will be showing you her techniques that you can bring into your home. 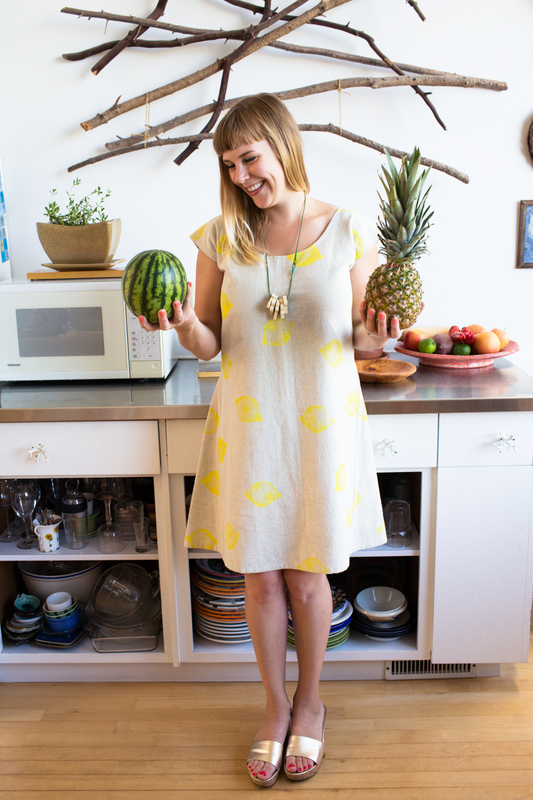 And in case you don't know too much about Ms. Lemons, Jenny Lemons is a small-batch clothing company run by San Francisco based artist Jennie Lennick. Jennie learned to sew, bake, and embroider as a child growing up in rural Minnesota and draws inspiration from traditional domestic craft. Since moving to the Bay Area to attend the San Francisco Art Institute, where she studied painting, Jennie has become obsessed with the delicious fresh foods and natural beauty of Northern California. Her cheerful work features images of her favorite fruits, leaves and twigs, and abstract forms based on nature. In this class, Jennie will teach you how to successfully make your own loom, warp it, weave with a needle and shuttle, and decorative techniques like adding tassels and braids. You will have the option of turning your beautiful weaving into a wall hanging or a statement necklace—how cool is that? All materials will be provided and everyone will take home their project with an instruction packet for later reference. We should also mention that all levels are welcome for this class so no need to know how to weave prior. Have fun, gang! Never miss our vetted info! Get it every Saturday in your inbox.